Today I began my search for an all-electric city car. There is a fairly limited selection of battery-electric vehicles (BEVs) on the market, but I’m lucky to live in California which is ground zero for the nascent industry. While Tesla and its Model S grab most of the headlines, its lofty price tag (usually around $90,000+) renders it unobtainable for average consumers. The California Air Resources Board (CARB) requires a small percent of the vehicles sold by large manufacturers in California to be zero emission vehicles (ZEVs). Zero emission vehicles are generally plug-in (battery) electric vehicles (PEV) while a very small number are powered by hydrogen fuel cells (FCEV). California offers a generous $2,500 rebate if you purchase or lease a ZEV. This is in addition to a federal tax credit of $7,500 for the purchase of an EV. To clarify things, the federal tax credit is a “use it or lose it” credit. In other words, if you don’t use the whole credit in the year you purchase the EV, you lose it. This is great for wealthy customers who can afford a $100,000 Tesla Model S and likely pay more than $7,500 a year in federal income taxes. 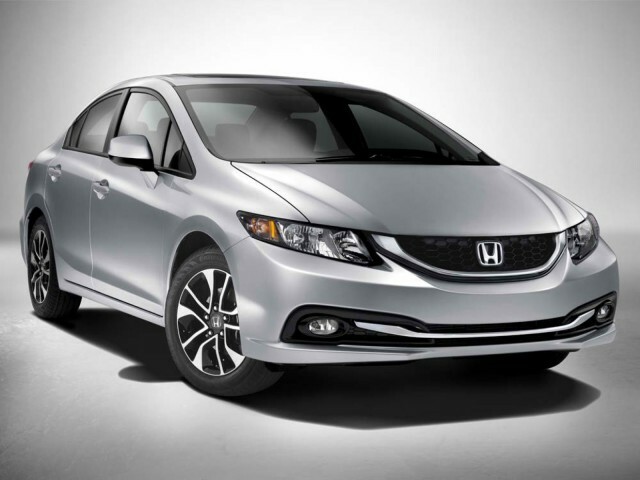 But the credit may be much more difficult to use if your income and car budget dictate a much more modestly-priced car. This is where a lease is useful. When you lease an EV, the leasing company is able to use the federal credit to reduce your lease payments. That’s why car companies like Fiat can offer a fully-loaded, $33,150 500e for $199/month for 36 months with only $999 down. You see, when the credit is used by a business (in this case the Fiat’s captive finance company), it’s treated as a normal business credit which can be carried forward for up to 20 years. As an individual taxpayer, you’re screwed. 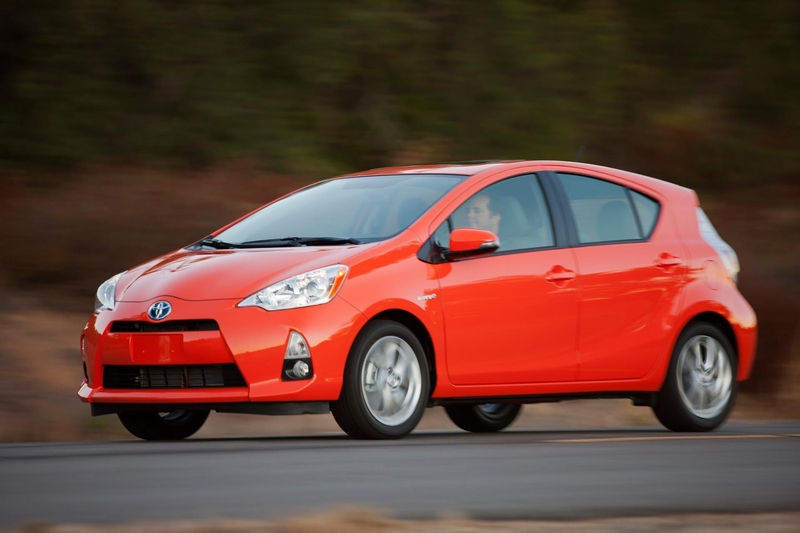 The California rebate is just that: a cash rebate for the purchase OR lease of an ZEV. The lease must be for at least 36 months to qualify. And anyone, regardless of income or how much tax you pay, can claim the rebate. So what’s a “compliance car” and why do I keep hearing that hurled at these EVs as a pejorative? 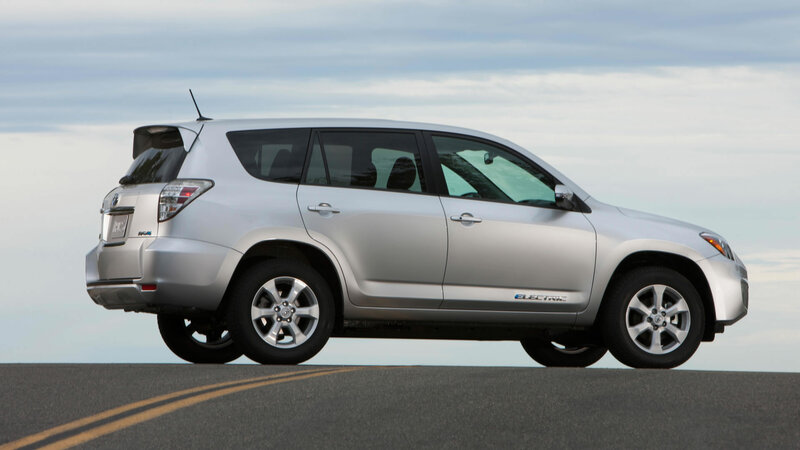 The 2014 Toyota RAV4 that I tested is a classic “compliance” car. It was created solely to comply with the CARB zero emission vehicle requirements. There is a misconception that just because a car was created solely to comply with regulations that it must be somehow half-baked. You know, they just rip out a conventional powertrain and stuff in an electric motor and a battery. But while many of the compliance cars (e.g., Chevy Spark EV, Ford Focus EV, Fiat 500e, Honda Fit EV, Smart fortwo ED, Mercedes B-Class Electric Drive, Mitsubishi i-MiEV, Volkswagen e-Golf) on the surface appear to be cynical ploys to mollify the crazies in California, they are every bit as entertaining and capable as non-compliance cars (cars engineered and manufactured to be profitable and sold worldwide) like the Nissan Leaf, Tesla Model S and BMW i3. 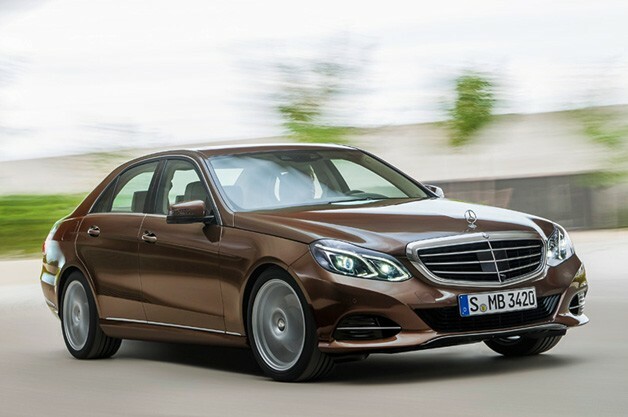 It’s believed that most compliance cars aren’t profitable. For example, last May, Fiat-Chrysler Automobiles CEO Sergio Marchionne made headlines by asking people not to buy the Fiat 500e because he said FCA loses $14,000 on each one. With no other ZEV in its portfolio, FCA needed to make the 500e to comply with the CARB rules. It’s likely that Toyota loses a lot on each RAV4 EV, but it’s a drop in the bucket to a company as big and profitable as Toyota. 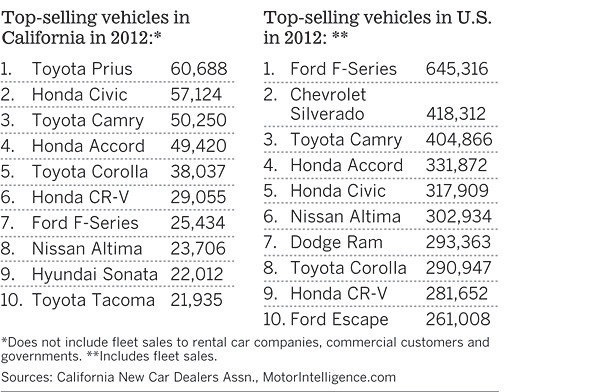 Toyota has a long history with Tesla. “Long” is a relative term when it comes to Tesla, which was only created in 2003. Way back in 2010, Toyota made a $50 million investment in Tesla and then nearly gave away to Tesla, at the bargain price of $42 million, the shuttered manufacturing facility of New United Motor Manufacturing, Inc. (NUMMI) in Freemont, California. Concurrently, Toyota and Tesla announced an agreement to develop an electric RAV4. 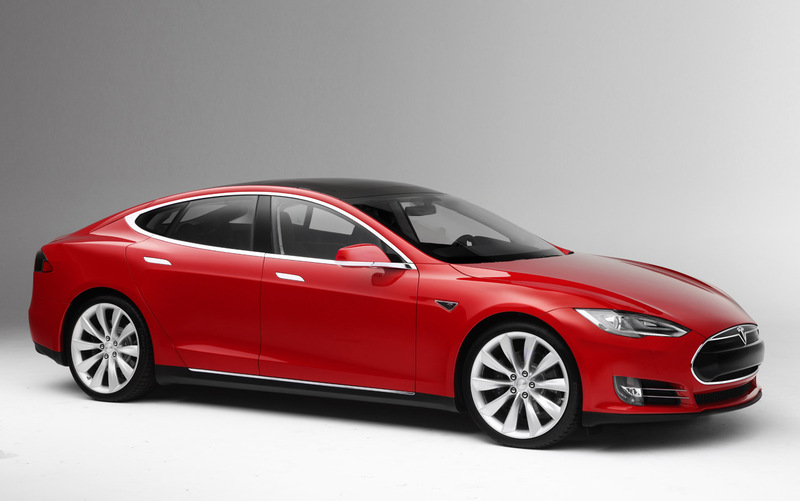 Tesla agreed to supply the powertrain (motor, battery, etc.) and electronics/electronic management software and Toyota did the rest of the engineering and manufacturing. The old NUMMI plant is now the worldwide manufacturing plant for the Tesla Model S and the upcoming Model X.
Tesla provides the motor for the 2014 Toyota RAV4 EV. Toyota never really tried very hard to market the RAV4 EV. It’s $50,625 (before federal tax credit), which is $15,000 more than a Nissan Leaf SL with a smaller battery but similar range. It’s also about the same prices as a fully-loaded BMW i3, with none of the premium style and quality of the BMW. When it was introduced in September of 2012, it was offered on lease for $599/month for 36 months with $3,500 down. Not many moved off dealer lots. 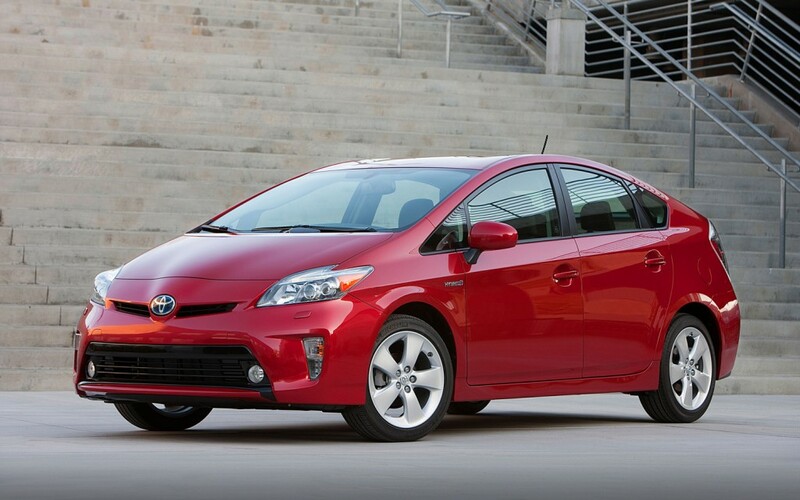 What got my attention was Toyota’s lease offer of $279/month for 36 months with $4,999 down. When I shopped for the car on October 1, 2014, I was told that Toyota was still offering a similar deal to move the remaining 2014 inventory. 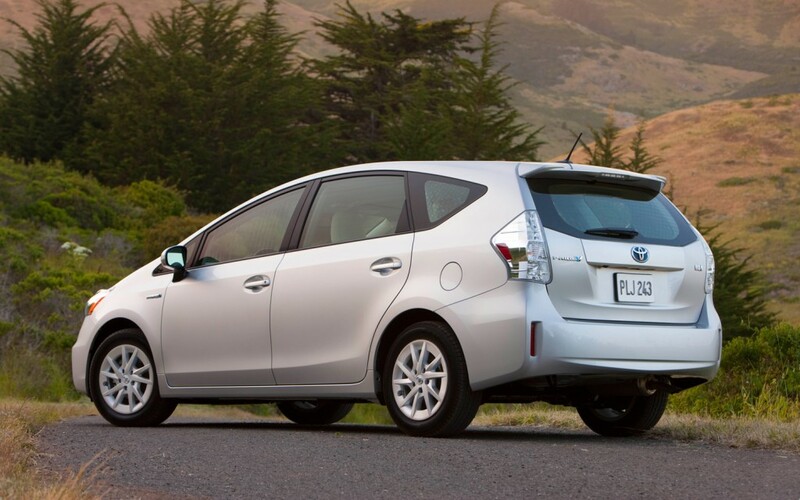 According to Toyota’s website, the latest offer is $289/month/36 months (12,000 miles/year) with $4,500 down. 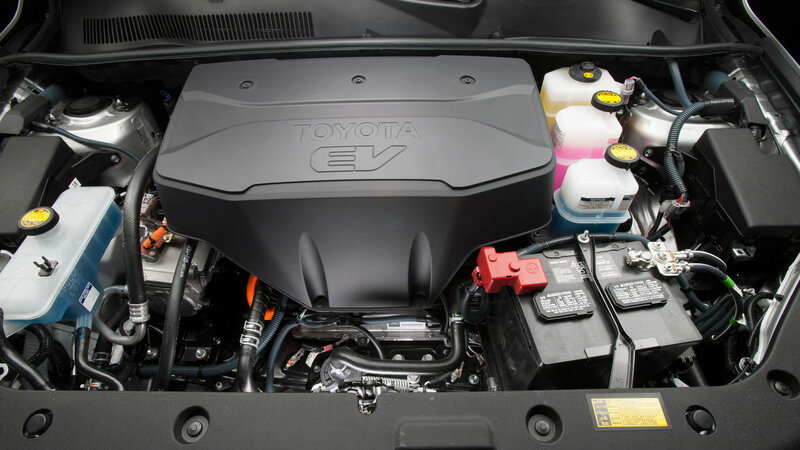 According to InsideEVs.com, Toyota needs to sell approximately 2,600 RAV4 EVs to satisfy its CARB quota and, as of October 1, they estimate there are around 470 left – or about a 2-month supply. The 8 inch color infotainment screen is beautiful on the Toyota RAV4 EV. 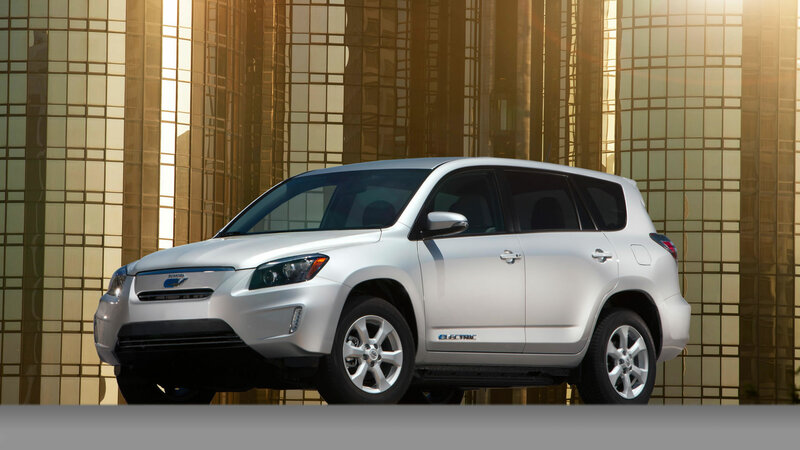 The 2014 RAV4 EV comes fully loaded – with no option packages or trim levels. 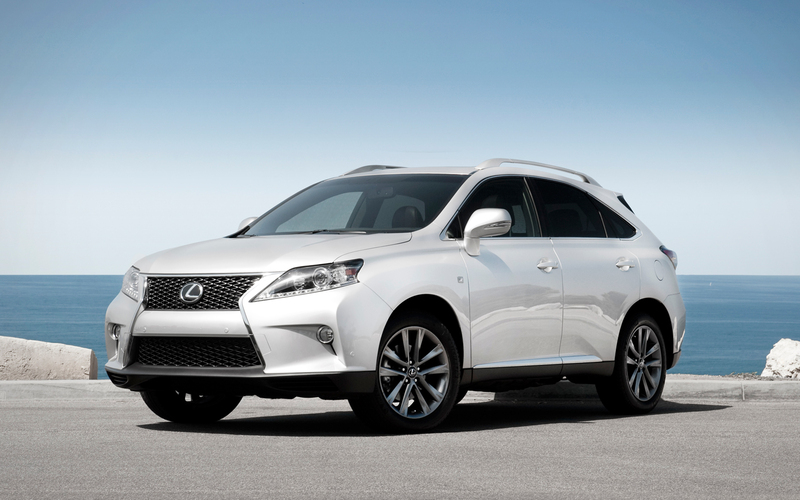 Your only choice is the color: Classic Silver Metallic, Shoreline Blue Pearl and Blizzard (White) Pearl. It’s chock full of goodies: In addition to the usual array of electronic stability nannies, the RAV4 EV sports an 8″ high-definition color infotainment touch-screen running Toyota’s latest generation Entune platform with a bunch of music apps and a specialized suite of EV applications including the location of charging stations and energy consumption. 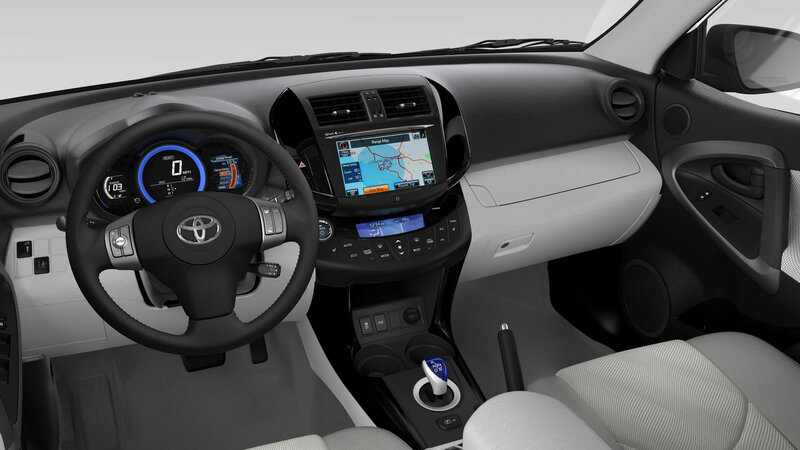 Naturally there is dual zone automatic climate control, heated front seats, auto-dimming mirrors, automatic headlights, LED running lights and taillights, HomeLink, backup camera, a manual tilt/telescope steering column and the same Smart Key and shifter from the Prius. 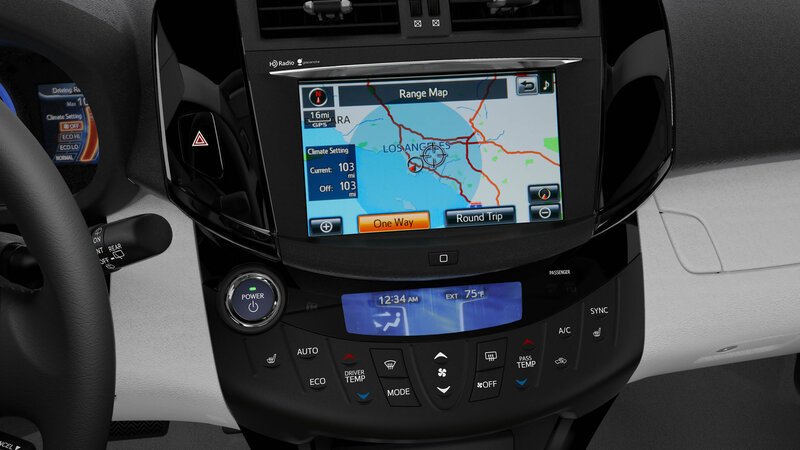 The instrument panel, center stack and electronic shifter are all unique to the RAV4 EV. The rest is pure stock, cheap, RAV4. The RAV4 EV is relatively sporty. It boasts zero-60 in 7 seconds and a top speed of 100 mpg – faster that almost any other battery-electric vehicle except the Tesla Model S. The AC induction motor has a maximum 154 hp and up to 273 lb-ft of torque in Sport mode (218 lb-ft in Normal mode). Just to contrast, the Nissan Leaf’s motor puts out 107 hp with 187 lb-ft torque and, according to Car & Driver, it takes a leisurely 10.2 seconds to hit 60 mph. Ouch. Of course, if you keep it in Sport mode and drive with a heavy foot, you won’t get the claimed 103 miles per charge with the 41.8 kWh lithium-ion battery pack. With the standard 10 kW onboard (SAE J1772) charger and the appropriate (240V, 40A) plug, the battery can fully recharge in 5-6 hours. These are very important numbers when comparing battery-electric vehicles. The bigger the battery pack, the better. 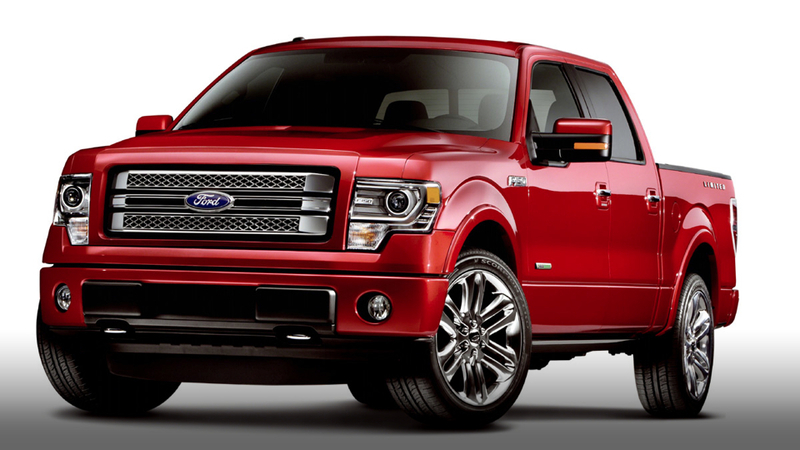 Just ask Tesla with it’s mammoth 85 kWh pack for a 260+ mile range. And the higher-capacity charger allows for faster charging. 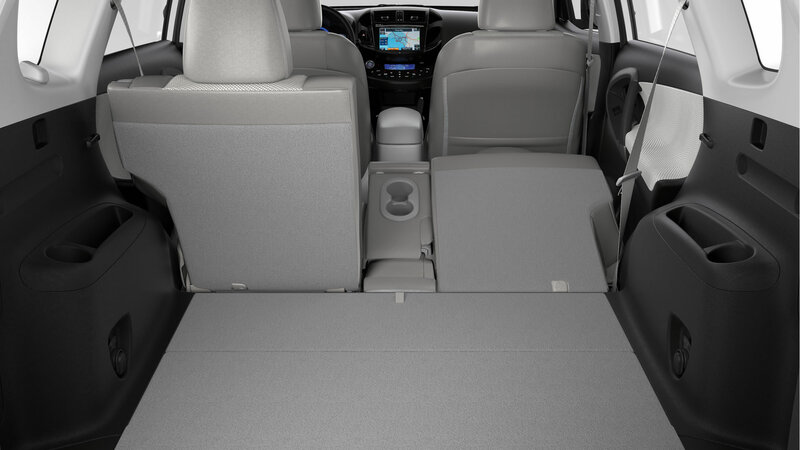 The RAV4 EV cargo space looks completely normal. You’d never know there is a battery under all that. Very handy. 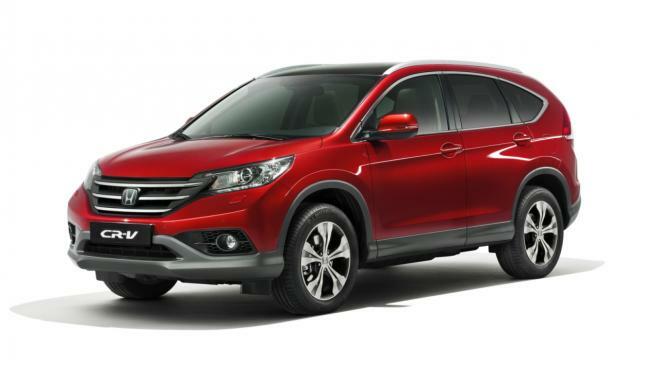 Like the ICE (green-speak for internal combustion engine) RAV4, it’s a handy little 4-door CUV. And also like the last-generation RAV4, it suffers from very cheap plastics, cheap cloth manually-adjusted seats and hard surfaces everywhere. It’s kind of a buzz-kill when you’re talking about 50 large. With the battery sitting on the floor, there is no loss of interior space. It also feels planted, with a lower center of gravity than the standard RAV4. Of course, it weighs in at whopping 4,032 pounds. So with all these numbers, what’s it like to drive? It’s utterly conventional and unremarkable except for the silence. 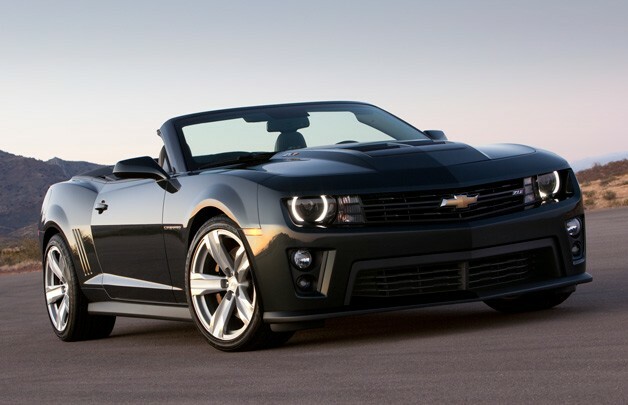 With all of the torque instantly available, it’s very fast off the line, which is always exhilarating. The electric power steering has absolutely no feel, but for a city car with no sporting ambitions, I guess it’s okay. Sitting in stop and go traffic, which represents a major chunk of my in-city driving, it wouldn’t matter. But on the twisties of a canyon road, it wouldn’t inspire much confidence, but I wouldn’t be frightened. There is no spare tire holder on the back door of the RAV4 EV (there is no spare tire at all). The taillights are slightly different, but otherwise not much to distinguish the EV from the standard RAV4. Visibility was excellent, as you sit up a little bit high and there is plenty of glass. In my short drive around the congested streets of Hollywood, it was easy to forget you were in an EV. Regenerative braking was almost non-existent in normal Drive mode. Push it to B (brake) mode and you could feel some slowing when your lifted off the accelerator – but nothing like the heavy regenerative braking of the BMW i3 and little of the linear, smooth regen-braking of the Model S. The brakes themselves were very spongy, with no feedback. Ugh. 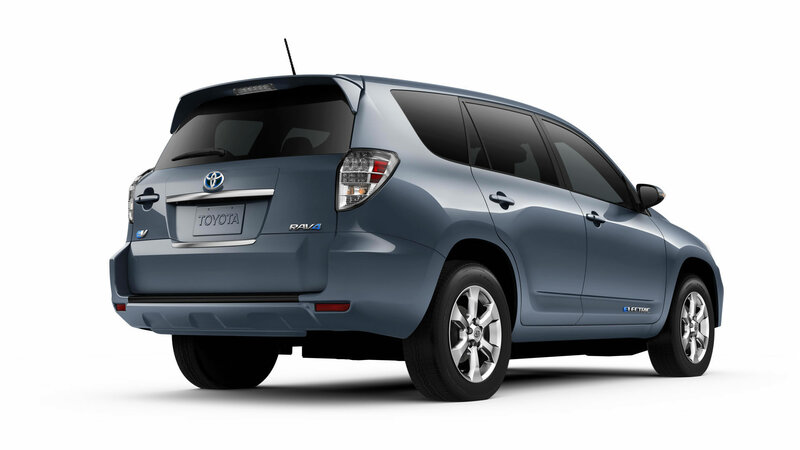 The RAV4 EV has been discontinued by Toyota. But have no fear, the Kia Soul EV will pick up where the RAV4 leaves off, except in a nicer package with more features for less money. I also didn’t feel confident that the cheap front seats would be comfortable for any length of time and it’s impossible to tell from a test drive if I could find one. But what makes the 2014 RAV4 EV the most tempting is the zippy performance, particularly in Sports mode and its every-day utility. The only better performance comes in the form of the BMW i3 or the unobtainable Tesla Model S.
After all is said and done, when it comes to an BEV city car, performance isn’t the the only metric. I need a more comfortable, luxurious cabin with more supportive seats and better tactile and visually-appealing materials. For $50,000 – the RAV4 EV just doesn’t deliver.